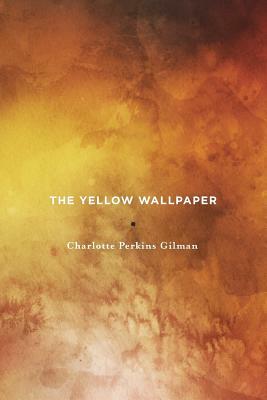 As brilliant, bold, and prescient as it was when first was published in 1892, The Yellow Wallpaper stands strong not only as an stellar example of early American Feminist literature, but as a prime example of the short story as well. Told as brief journal entries penned by an unnamed narrator, the unsettling story of this woman and her preventable descent into madness illuminates an all-too-common aspect of the lives most women experienced in the 19th century, and to an unfortunate extent, still do today. Semi-autobiographical, the author Charlotte Perkins Gilman (1860-1935) was a proud feminist, humanist, social reformer, artist, writer, editor, and publisher. Her works are too great in number to list here, but run the gamut from poetry and short stories, to academic studies and drama. Her autobiography, The Living of Charlotte Perkins Gilman, was published shortly after her death in 1935. This Yellow Wallpaper Press edition features the unabridged story along with a brief biography and the full article "Why I Wrote the Yellow Wallpaper" penned by Gilman and published in her magazine The Forerunner in October 1913.